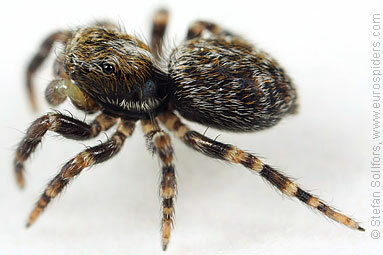 Juvenile male Pseudeuophrys eratica, side view. 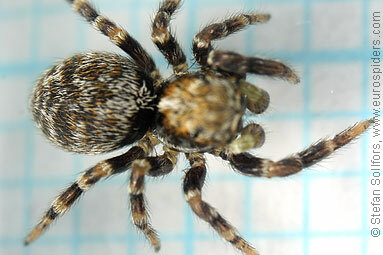 Juvenile male Pseudeuophrys eratica, head-on view. 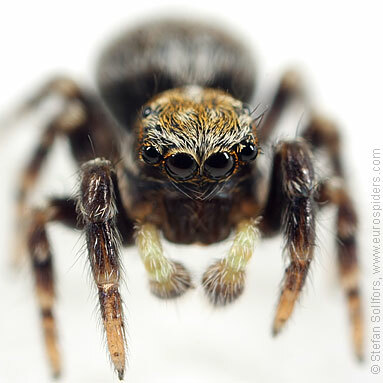 Juvenile male Pseudeuophrys eratica, close-up of eyes and palps. 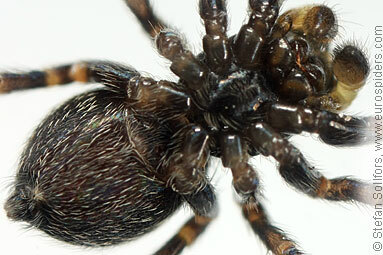 Juvenile male Pseudeuophrys eratica from below. 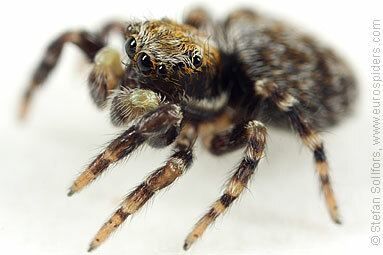 Juvenile male Pseudeuophrys eratica, close-up from below. 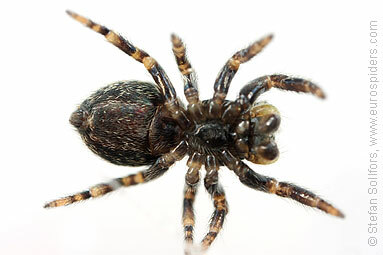 Juvenile male Pseudeuophrys eratica, 4 mm. 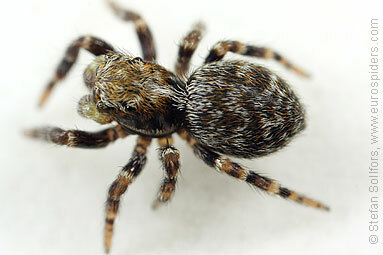 The small and cute jumping spider Pseudeuophrys erratica.